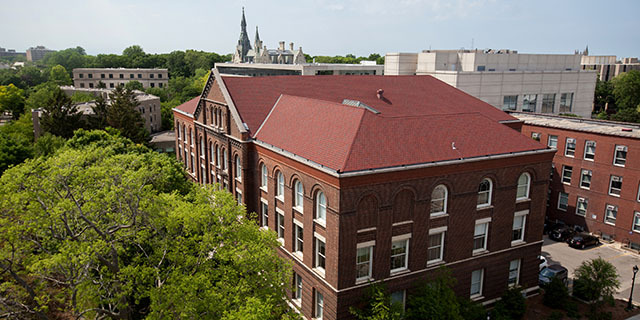 We are a single school, but the way our students experience Medill can vary greatly. 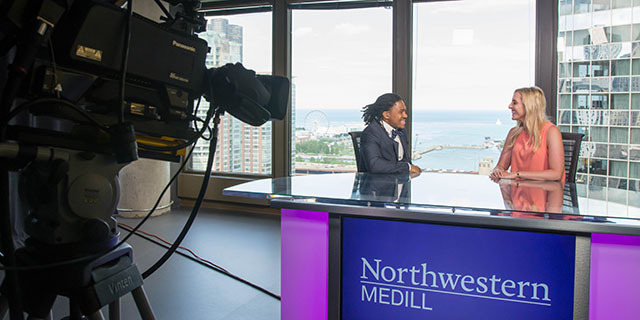 With five campus locations, plus online options for some programs, Medill is committed to offering students a diverse and customizable learning environment. Base your Medill studies on Northwestern’s Evanston campus on the shores of Lake Michigan just north of Chicago. Here, you can pursue an undergraduate degree in journalism or our Full-Time Integrated Marketing Communications Master's degree. Our downtown space, located on Upper Wacker with stellar views of the Chicago River, Lake Michigan and Navy Pier, is a hub for both graduate journalism and IMC Part-Time students for class work, group meetings and connecting with alumni and media professionals. 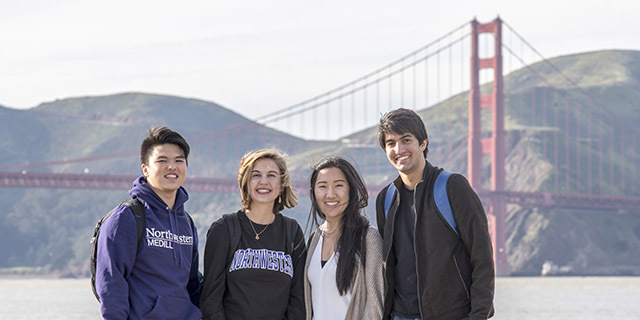 Medill’s newest campus location gives Medill students the opportunity to immerse themselves in the Bay Area’s high-tech, entreprenuarial culture and prepare for the future of digital media. 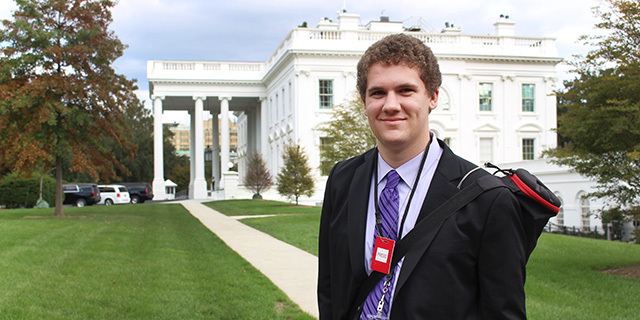 Since 1966, Medill has operated a newsroom for students out of the nation’s capital, allowing students to gain hands-on experience reporting from Capitol Hill. 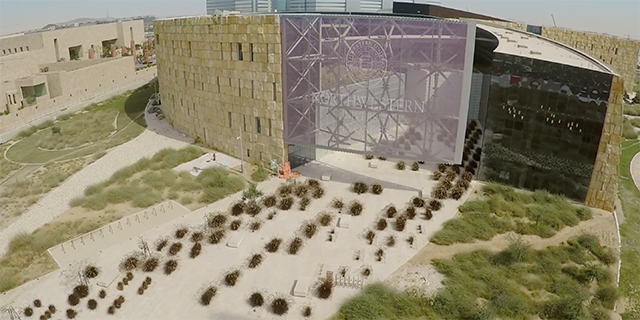 Learn about Medill in Washinton, D.C.
Operating within Northwestern University in Qatar (NU-Q), Medill offers undergraduate journalism courses as well as semester-long residency opportunities from this Middle East campus. Earn your IMC degree anywhere thanks to Medill’s IMC Online Master’s Program. Or, supplement your Medill learning by accessing the school’s Open Online Courses.